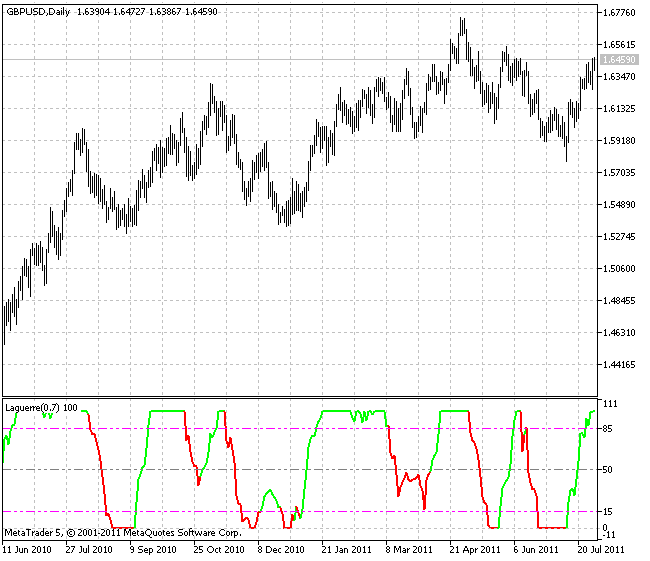 Laguerre indicator is an RSI indicator algorithm based on the Laguerre adaptive filter. It was created by John Ehlers – the expert who applied digital signals processing methods to futures trading. Laguerre indicator shows the overbought/oversold states of the market. It is recommended to buy when a price goes beyond the upper level and sell when it goes below the lower level. Center line breakout is also quite a strong signal for opening positions. Leaving overbought/oversold areas is yet another way to get trading signals using the indicator. This is the one (of many) way how to use this indicator. Buy when Laguerre crosses upwards above 0.15. Sell when Laguerre crosses down below 0.85. 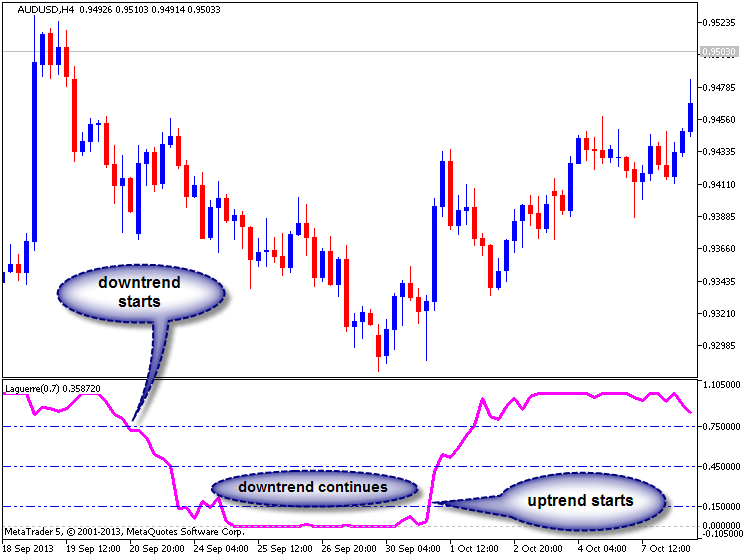 While indicator runs flat above 0.85 level, it means that an uptrend is strong. While indicator runs flat below 0.15 level, it means that a downtrend is strong.